Like most blind and low-vision children in Pakistan - as well as many with correctable vision - Kaneez Fatima, 10, does not go to school. “She cannot see the blackboard clearly. We do not know why. So her teacher said she could not learn,” Kaneez’s mother, Bushra Bibi, told IRIN. Bushra and her husband have never considered the possibility that their daughter’s sight problem could merely be a refractive error, easily corrected with a pair of glasses. The couple, who have little formal education, have two other children. “We have no money to take Kaneez to a doctor or buy glasses,” said Bushra. The family’s income is Rs 8,000 (US$100) a month. According to Niazullah Khan, country director in Pakistan of the UK-based charity Sight Savers International, there are 1.4 million blind people in Pakistan. Of these, 45,000-48,000 are children under 15. “Three times that number of children has low vision,” he told IRIN. The World Health Organization (WHO) defines low vision "as visual acuity less than 6/18 and equal to or better than 3/60 in the better eye with best correction". It also notes there is, globally, a “high burden” of refractive error - which can be rectified with appropriate optical correction. “We often see children with eye problems and though we refer them to free eye clinics not all parents take [their] children there. 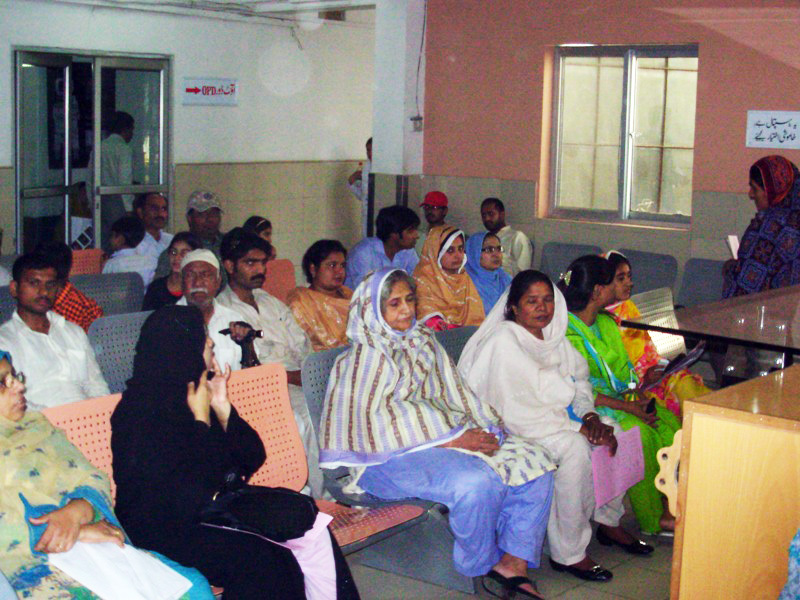 They are not aware poor sight can affect learning and quality of life,” said Dr. Nishat Kausar, a general practitioner. “Often people just try to buy cheap glasses from roadside sellers,” she said. There are at present only 64 schools for blind and visually impaired children in Pakistan (population 165 million). “We are trying, under new government policies, to facilitate education in mainstream schools for children with low to moderate vision, because the environment in schools for the disabled is not right for them. They need to live with normal people and learn how to manage,” Khan said. She is fortunate. There are 9,000-10,000 cataract blind children in Pakistan. Cataracts account for 53 percent of all blindness in the country. According to Sight Savers, 3000-4,500 paediatric cataract surgeries take place annually. However, there are also other threats to sight, some of them linked to poverty. This is one reason why Kaneez, from a low income family, struggles with an uncorrected vision error, while Aroosa, from a more privileged background, was treated before poor sight could affect her education. The link between poverty and blindness has been established by some scientific studies. One of the reasons for this is a widespread Vitamin A deficiency, experts believe. Globally, WHO notes, this is the leading cause of childhood blindness. “Clinical deficiency of Vitamin A causes night blindness that may ultimately end up with loss of vision,” Azhar Abid Raza, health officer for the UN Children’s Fund (UNICEF) Pakistan, told IRIN. “According to the National Nutrition Survey 2001-2002, 12.5 percent of children showed evidence of being vitamin A deficient,” he said. Pakistan has, with UNICEF support, run a Vitamin A supplementation programme, linked to National Polio Immunization Days, since 1999. The battle against blindness is being waged in both the public and private sectors, with organizations such as the charitable Layton Rahmatullah Benevolent Trust running 56 eye clinics and hospitals across the country. “We treat one in every three eye patients [in the country] and our mission is to offer quality eye-care to anyone who needs it,” said Najmus Saquib Hameed, a trustee of the organization. 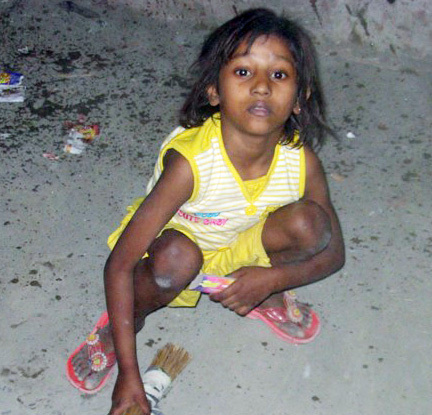 But despite these efforts, children like Kaneez Fatima remain out of school. “I wish I could see enough to read, like my sisters can,” she said.